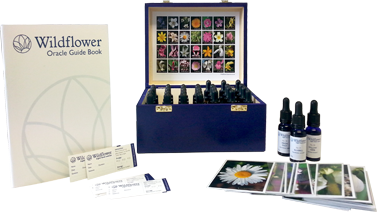 The Wildflower oracle set provides you with everything you need to create your own flower essence remedies. It can be used daily for inspiration, as part of your self-development or when you feel you need extra support in facing life’s challenges. Using the Wildflower oracle set will help lift the veil between your intellectual understanding and emotional experiences, giving you a greater sense of self-awareness and aide in your healing process. By developing intuition, trusting your body’s responses and working with wild flower essences you will be led on a magical journey to the heart of healing. What is in the set? This set contains 28 individual handmade English wild flower essences with accompanying flower oracle cards. 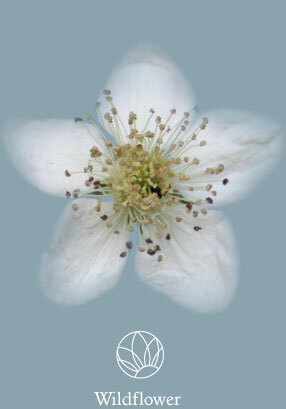 Each wild flower card can be used as a doorway through which we can gain a deeper insight to the essential healing quality of that wild flower. The accompanying booklet will show you how to integrate plant energy medicine into your healing process and to encourage your self-development. We sincerely hope you will enjoy your journey into the world of English wild flowers healing. You can restock any of the items within the Wildflower oracle set through this website. We also offer competitive therapist discounts, email us for further details. If you would like to contact us with any questions or feedback we would like to hear from you.